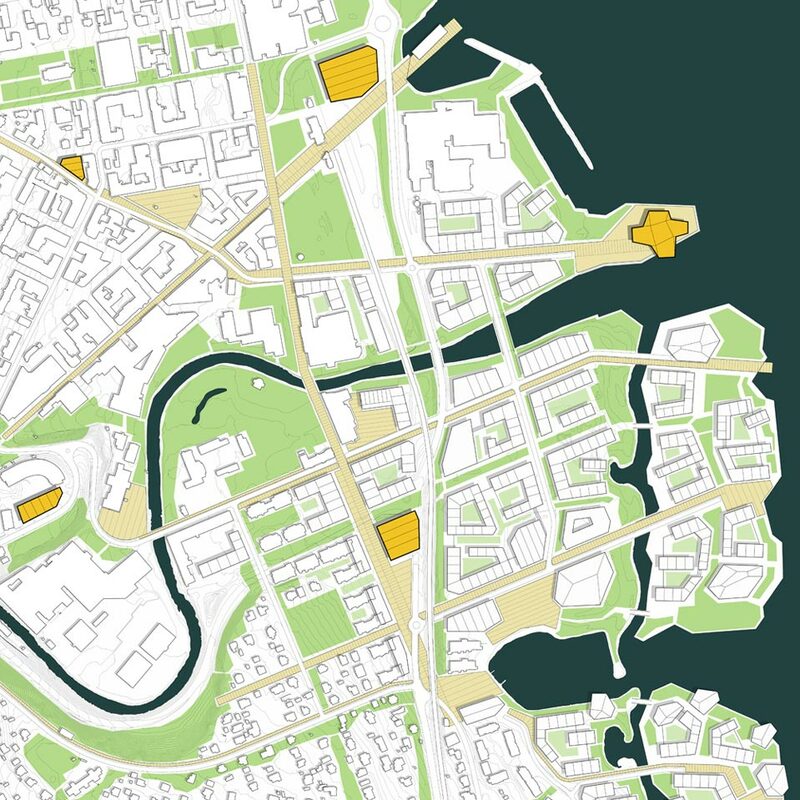 Gjøvik is lacking today permeability towards the lake Mjøsa, as the train line and the road 4 create a barrier. 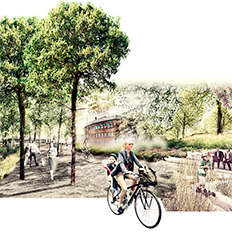 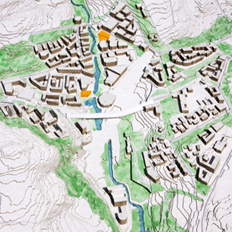 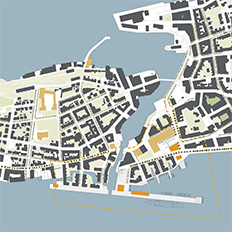 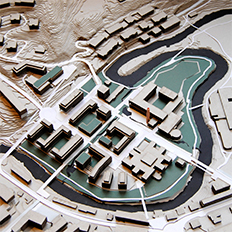 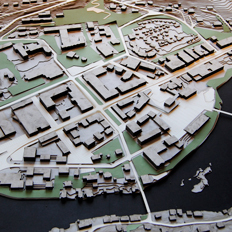 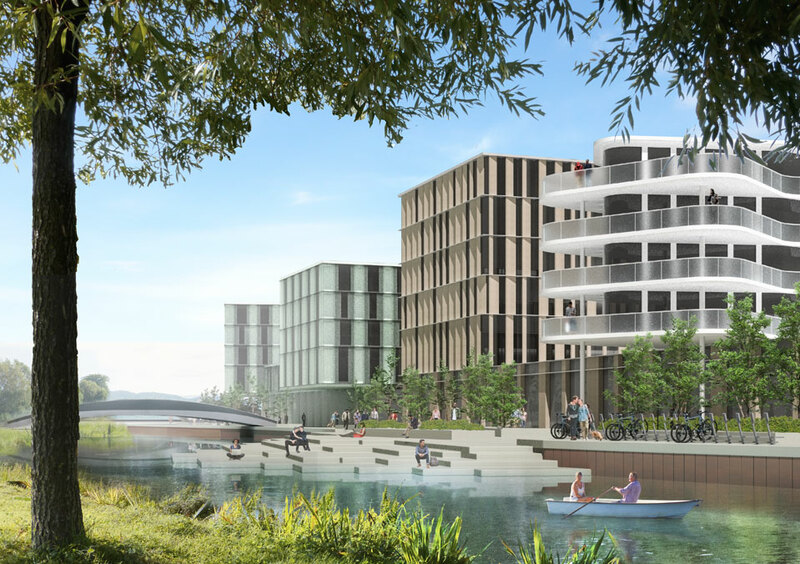 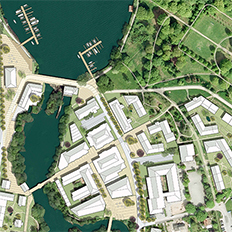 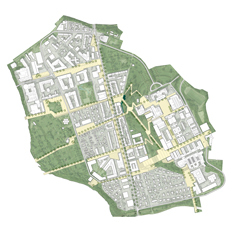 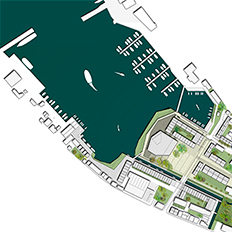 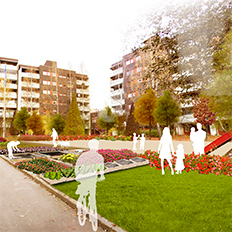 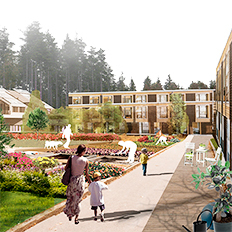 The sustainable urban development in Huntonstranda is structured on the continuation of the street system of Gjøvik, reconnecting the city to the Water Promenade. 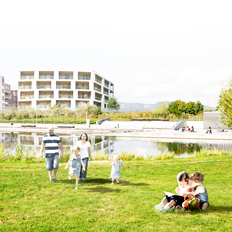 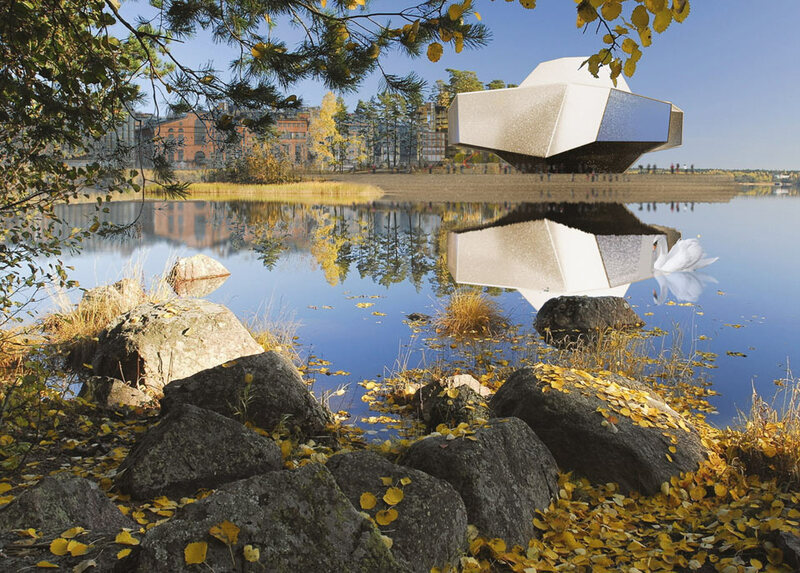 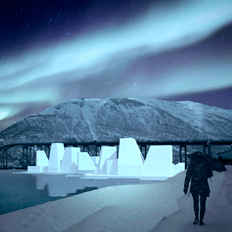 The new Culture Centre is located at the extension of Hunnsvegen, where the river Hunnselva meets Mjøsa.